The species is widespread in much of the southern half of Britain, but the Distribution: becomes scattered in the west and north. It is widespread in western and central Europe. T. oblongus occurs in a variety of dry or damp habitats, ranging from sand-hills to grassland of most types, though longer herbage seems to be preferred. Adults of both sexes are found mainly May to July, females persisting occasionally into the autumn. 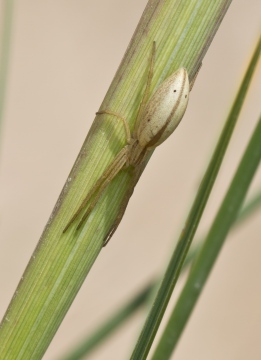 The spider is common in the south but more local and restricted in the north, although it may be locally abundant (J. Newton, pers. comm. ).